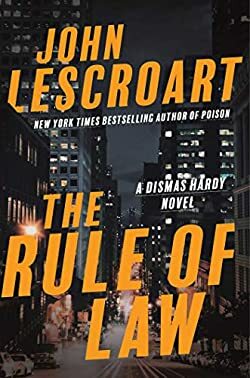 John Lescroart is an American legal and crime thriller author best known for his Dismas Hardy series featuring a lawyer in San Francisco who takes on hard cases with his partner Abe Glitsky. The author has close to 30 books written to date, several as part of 3-book series, with a few standalone novels included as well. Here are the John Lescroart books in order for his legal mystery series, his crime mystery series and his standalone novels in order of publication. The reading order for each book in the series is given in brackets. Born in 1948 in Houston, Texas, John Lescroart (website) was raised in San Mateo, California. In 1966 he graduated from Junipero Serra high school after which he went to study at Berkeley UC, receiving his BA in English in 1970. While still in college, he wrote his first novel which was put on the shelf for 14 years before it was finally published under the title Son of Holmes in 1986. Before becoming a full-time author John Lescroart wrote and performed his own songs playing with the Johnny Capo and his Real Good Band at various small clubs around the San Francisco area. He performed under the name Johnny Capo. In his 20s music was his main passion and he went after it with full steam. At around the age of 30, he realized that making it big in the music industry was a dream that would never be fulfilled, so he turned his full attention to writing, and eventually, readers all over the world got a new favorite legal mystery author to follow. Music still having a leading role in his heart, John Lescroart has now a record company called Crow Art Records. Only two months after his last musical gig he wrote his second book Sunburn, a standalone novel, which was published 4 years later, in 1981. Surprisingly, the novel won the Best Novel by a California author by the San Francisco Foundation (coming on top even against books like Interview With a Vampire), and this probably was the turning point in his writing career. He had now a glimpse of the life of an author and knew he could do it. Still, writing meant that he had to make a living and pay his bills another way at least until the books were published and sold. And this meant taking odd jobs like a newspaper editor, computer programmer, house painter, bartender in San Francisco, Ad Director of Guitar Player Magazine, legal secretary, fundraising executive, and management consultant. Talk about a dedication to writing! After a long battle for his life following a body-surfing accident where he contracted spinal meningitis from contaminated water, he quit his full-time job to move back home to California and write full time. Having been given only 2 hours to live by the doctors in the hospital, now looking back he realized that life is too short to not do what he really wants to do before it’s too late: write books. 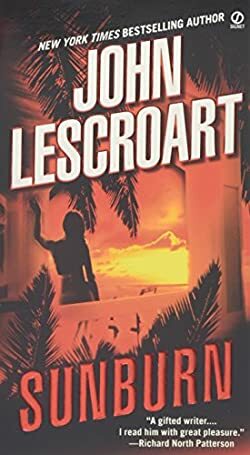 Reading the John Lescroart books in order is easy for most of his series since they include three books. The Dismas Hardy series is currently up to book 17 with Poison published in 2018. The Dismas Hardy novels are all courtroom dramas, which is what author is best known for (I like his legal mystery series much better than his Wyatt Hunt crime mystery books). In Poison, Dismas Hardy is strongly looking at early retirement. After he suffered some gunshot wounds, he wants to work less until eventually, he eases into his new life. However, it is not meant to happen just yet. When Grant Carver has been murdered, his bookkeeper, Abby Jarvis, is immediately suspected of the crime. But Abby says she didn’t do it. Now Dismas is taking on the case and in the process learns more about the entire family business than he ever wanted.